Over 30 hours natural raising rest exclusively with live sourdough. 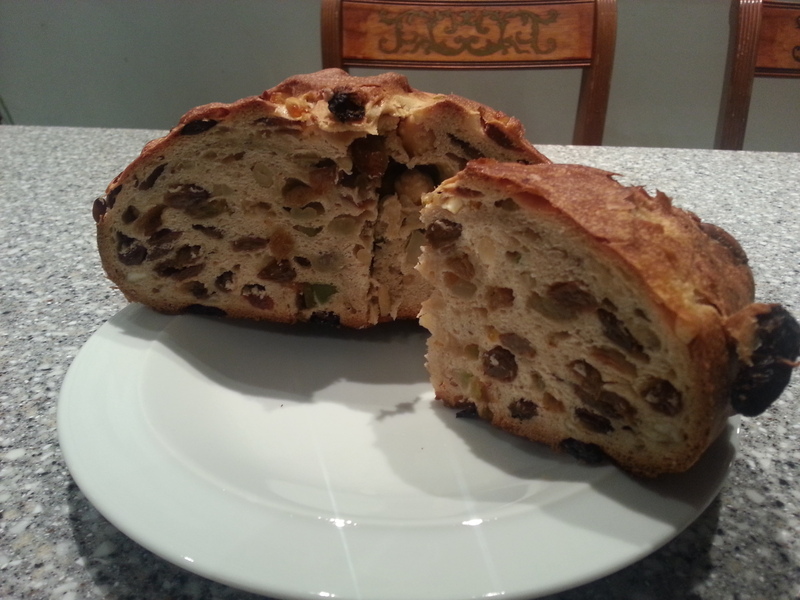 Ingredients: Flour, Egg Yolks, Sultanas, Water, Sugar, Vanilla, Butter, Salt, and Sourdough Yeast. 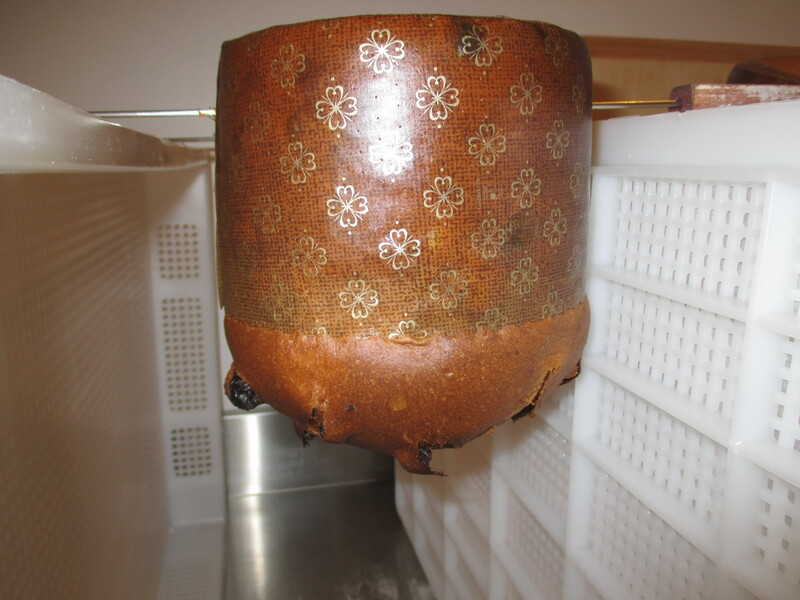 Cooling and resting upside down which becomes a real challenge when its size reaches the 2500 gr like the one pictured below. 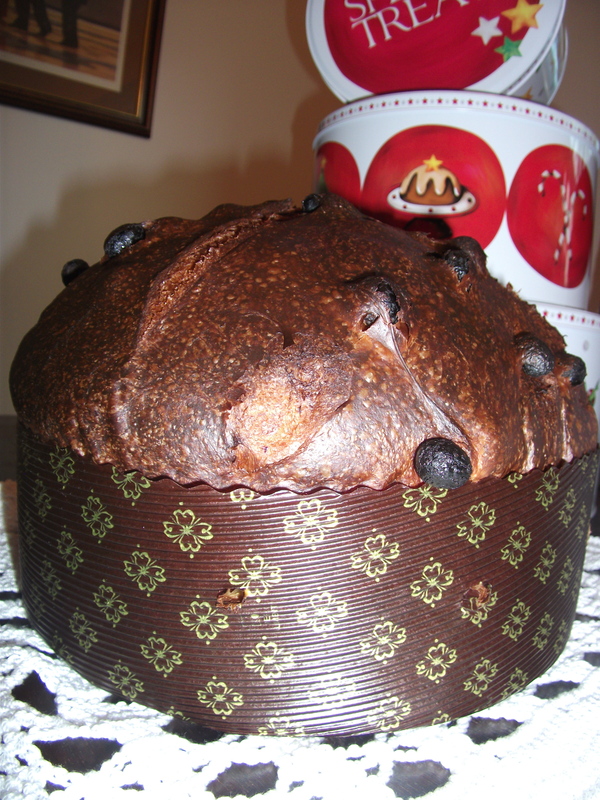 PANETTONE GENOVESE – A Classic Christmas Cake from my home town Genova – Italy. 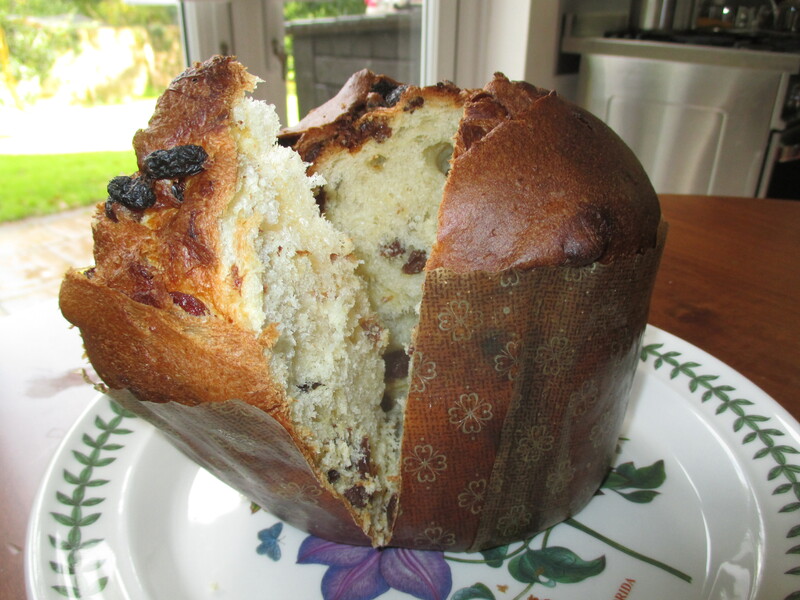 This panettone has a more robust and dense texture than the Milanese style because of the absence of eggs. 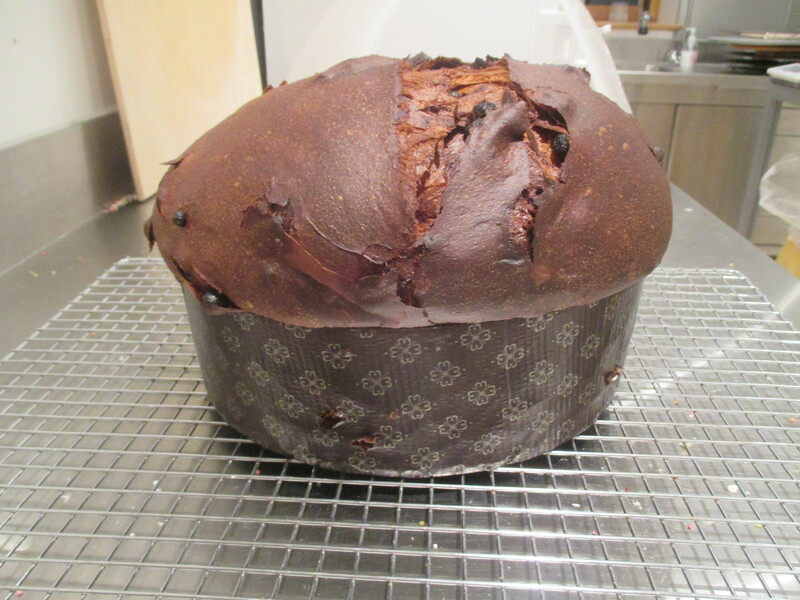 This panettone is full of dried fruits.The only raising agent is once more my very special sourdough yeast. 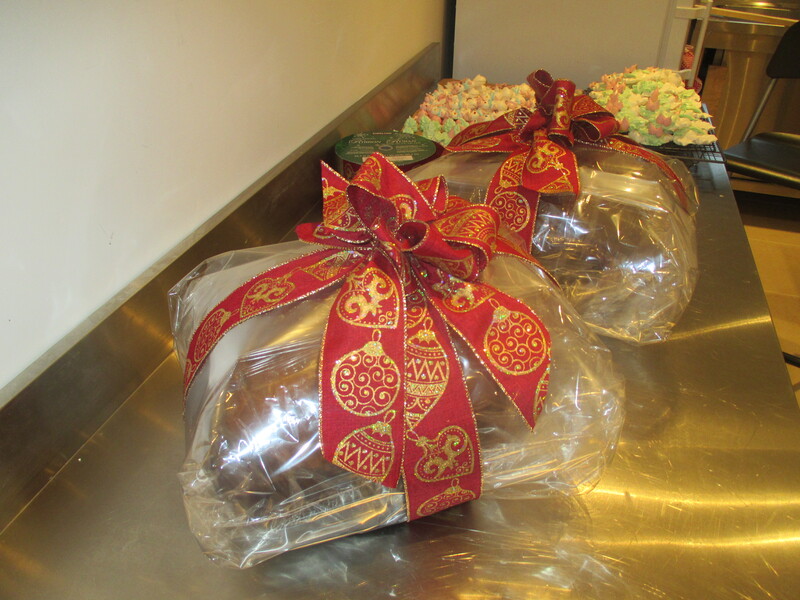 This panettone requires 12 hours of rest. Ingredients: Flour, Water, Sugar, Sultanas, Vanilla, Dried Orange and Citrus Peel, Butter, Rum, pine nuts/ hazelnuts and Sourdough Yeast. Your Panattone was the yummiest & freshest I’ve ever tasted & I have bought great quality, expensive Panattone before, but yours was simply the BEST! Also a huge fan of your Italian choux pastries. I wish you great & well deserved success! Rajal, thank you for your message!